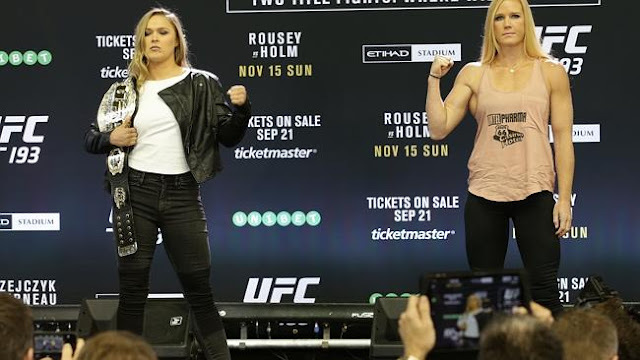 Ronda Rousey has been knocked out during the second round of her UFC bantamweight title fight with Holly Holm at Etihad Stadium in Melbourne this afternoon, according to 9 News. Rousey, previously undefeated, was already dazed and bloodied from a vicious attack by Holm in the first round when she received a blow to the head that sent her down onto the canvas. The referee called time on the fight when Holm landed a punch on Rousey that turned her around, leaving her open to the final kick to the head.